Here’s a look at events that shaped the microgrid industry in 2014, a pivotal year for the growing sector. 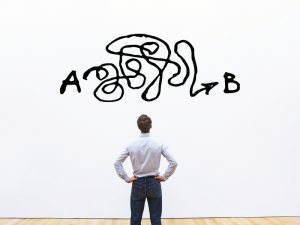 The timeline is made up of articles from MicrogridKnowledge.com and EnergyEfficiencyMarkets.com. They show microgrids advancing from planning to action; from a prospect to a trending technology. States crafted polices and offered more than $200 million in funds to get microgrids and related technologies built; the federal government awarded $8 million in grants and made $4 billion available in loan guarantees. Meanwhile, an increasing number of utilities and independent companies began operating in the market. Here are the big developments, by the month. A bellwether state, Massachusetts formulates plans to modernize the electric grid. Governor Deval Patrick okays $40 million to help communities become more resilient against storms. The Microgrid Resources Coalition forms to advocate for microgrids. A front-runner in microgrid support, Connecticut releases its second microgrid solicitation, offering $15 million in funding. Canadian Solar, one of the world’s largest solar power companies, opens a microgrid test center in Ontario to share information and services with utilities, colleges, communities, and companies that want to develop microgrids. New York regulators begin work on Reforming the Energy Vision (REV), which promises to be one of the most far-reaching efforts to create a distributed energy, microgrid-friendly grid. California releases, Microgrids: A Regulatory Perspective, to guide for regulators and policymakers as they consider next steps in formulating rules and incentives. A second industry group, the Microgrid Alliance, forms to advocate for microgrids. Massachusetts seeks applications for $40 million to create energy resiliency projects, including microgrids, to protect communities from power outages during severe weather. 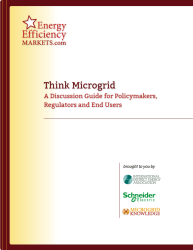 EnergyEfficiencyMarkets.com releases its first ‘Think Microgrid’ report, a guide for policymakers, regulators and end users. The US Navy seeks bidder information for a new military microgrid at the Marine Corps Air Station Miramar in San Diego, California. Montgomery County seeks bids for microgrid projects, designed to ward off long power outages and to green county facilities. A Maryland commission releases a detailed microgrid strategy for the state that focuses on buildings that serve critical needs. Honeywell in one stroke tackles the problems of both energy efficiency and security with a new $3.4 million military microgrid at Fort Bragg. Africa’s largest self-sufficient solar microgrid is being developed on an island off Equatorial Guinea in west central Africa by Management & Economics Consulting (MAECI), GE and Princeton Power Systems. The California Energy Commission offers up to $26.5 million projects that demonstrate ways to reduce carbon emissions and increase use of renewable energy and electric vehicles. Central Hudson Gas & Electric seeks regulatory approval to offer microgrid subscriptions, as part of a $46 million rate hike request filed with state regulators July 25. The formation of a new duo – energy management giant and software innovator Green Energy Corp – signals the growing market for microgrids in North America. The US Department of Energy offers $4 billion in loan guarantees for energy efficiency, microgrid and renewable energy projects that avoid, reduce, or sequester greenhouse gases. New York moves forward with a $40 million microgrid competition for communities, an idea introduced by Governor Andrew Cuomo in his state-of-the-state address in January. Navigant Research forecasts Asia Pacific microgrid investments will total $30.8 billion from 2014 to 2023, as demand for electrification and renewables grows in the region. aimed at preventing power outages that could jeopardize critical services in towns and cities. The village board of Oak Park, Ill. selects Pecan Street via a competitive bid to provide technical support for a community microgrid that will include 200 houses and residential buildings. Ontario utility PowerStream and Korea Electric Power Corporation (KEPCO) strike deal to work together on a microgrid demonstration project. EnergyEfficiencyMarkets.com spins off a new website, MicrogridKnowledge.com, the first independent, international news and feature site dedicated solely to microgrids. Projects planned by Schneider Electric and FuelCell Energy were among winners of $5.1 million in grants from the second Connecticut microgrid request for proposals. S&C Electric Company demonstrates how to serve PJM’s ancillary services market with a 150-kW energy storage system located at its global headquarters in Chicago. Ancillary markets are seen as an important revenue source for microgrids. 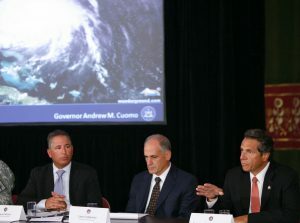 Gil Quiniones, the New York Power Authority president and CEO, reports that NYPA is poised for a “sea change,” and microgrids are part of the transformation. Capstone Turbine reports an uptick in microturbine orders as a result of new interest in combined heat and power and microgrids in the United States. The New Jersey Energy Resilience Bank (ERB) begins accepting applications for microgrids and other distributed energy resources at critical facilities throughout the state. Massachusetts today awards $18.4 million for microgrids and other energy resiliency projects to keep the lights on when the grid is down. World-wide investment in microgrid-enabling technologies may reach $155 billion within less than ten years, according to a recent report by Navigant Research. New York regulators have okayed a Consolidated Edison microgrid plan and other non-traditional resources to solve problems typically fixed by more conventional means. 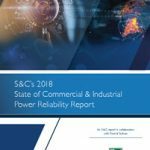 State regulators call on utilities and other stakeholders to get to work now on microgrids and distributed energy demonstrations, rather than wait for final rules in its Reforming the Energy Vision, or REV process. Ontario continues to show itself as smart energy leader, this time by channeling $23.7 million into 17 projects that promote microgrids, energy storage and other efficient and reliable electric technologies. 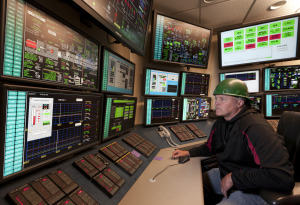 Track microgrid news as it happens. Follow @MicrogridNews on Twitter. Great article Elisa. Thanks for the recap. I am working on a Project for green Energy where No Fossil fuels are used to eliminate carbon foot print. The gas used is renewable as well as Reusable. The project needs to be evaluated at higher level by brain storming discussions and Dialogue amongst the Doctorate engineers from Chemical and Mechanical Research departments. Can I expect any assistance? No financial commitment is expected.